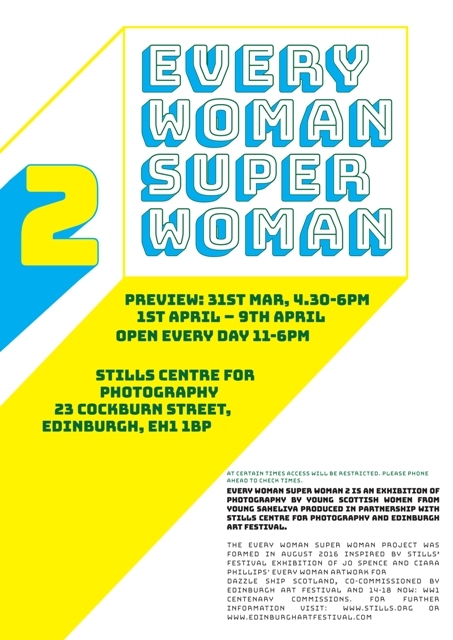 Please join us for a preview of our upcoming exhibition Every Woman Super Woman 2, running from 4.30pm to 6.00pm this Friday 31st March 2017 at Stills Centre for Photography in Edinburgh. For the past 8 months a group of young women from Saheliya have been creating photographic work inspired by art works which featured in Edinburgh Art Festival 2016. Every Woman Super Woman has been exhibited at Glasgow Women’s Library and Edinburgh Central Library Art and Design Department. Now we would like to present the second edition – because every super hero has a sequel! …Can’t make this day… The exhibition itself will run from the 1st to the 9th of April 2017, from 11am to 6pm (though at certain times access will be restricted so please phone ahead to check times). Exhibition itself will run from 1st to the 9th April.